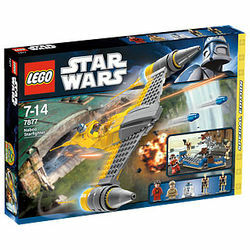 7877 Naboo Starfighter is a 2011 Star Wars Episode I: The Phantom Menace set. 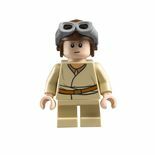 It includes six minifigures: a redesigned Naboo pilot, a redesigned Anakin Skywalker, two redesigned Security battle droids, a redesigned Droideka and R2-D2. In Germany, this set was released in June in the LEGO and Target Stores. In other stores the set was available in the succeeding months. Two flick-fire missiles can be launched from the underside of the fighter. 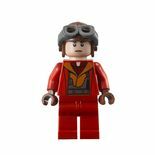 Both Anakin and the the Naboo Pilot have helmets. It has the redesigned third variation of the Droideka. The Naboo Starfighter included is very similar to the one that appeared in the set 7660 Naboo N-1 Starfighter and Vulture Droid with just a few minor changes. This is a description taken from LEGO.com. Please do not modify it. 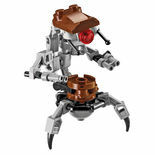 (visit this item's product page) Stop the invasion of Naboo™ with the Naboo Starfighter™! Blast through the battle droids and droideka to clear the hangar! Then speed into battle against the Droid™ Control Ship in the Naboo Starfighter™! Stage a realistic space stand-off with opening cockpit, ejecting R2-D2™, flick missiles, access ladder and rotating stand. 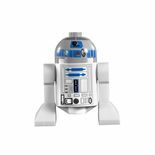 Includes Anakin Skywalker™, Naboo™ pilot, R2-D2 and 2 security battle droid minifigures. Service vehicle and droideka™ also included. Board your ship with the access ladder! Eject R2-D2 with a special function! R2-D2 removed from the droid socket. Anakin with the supply speeder. The fighter with open cockpit. The Minifigures included with the set. Facts about "7877 Naboo Starfighter"
Stop the invasion of Naboo™ with the Naboo Starfighter™! This page was last edited on 9 January 2016, at 22:05.